Recently, a metal detecting newbie had an amazing find just 20 minutes after beginning to metal detect in Sherwood Forest. He discovered a golden ring, though to be from the 14th century, which may be worth up to £70,000. The find was not far from the ruins of the Palace of Clipstone, also known as King John’s Hunting Lodge, and is may have fallen from the finger of some dignitary on business at the palace. Many kings and nobles visited Clipstone, including Richard Lionheart in 1194, after his return from captivity and subsequent siege of Nottingham castle, which had been held against him by supporters of John. The King held a great council here, which included many notables including the King of Scotland. If there is any truth to the legend that Robin Hood met Richard, it would probably have been around Clipstone, as the king went hunting on his second day at the palace. Edward I also convened Parliament in Clipstone, and it was while here that his Queen, Eleanor of Castile, began to show signs of the illness that would kill her a few days later while the royal party was on the road to Lincoln. By the late 15th century, the palace began to become ruinous, as the king preferred to lodge elsewhere, and by 1525 it was in a very poor, abandoned state. Sherwood, of course, also had many roads through it so the ring could have merely been dropped by a passerby. There were also two monasteries right in the heart of the forest, Rufford and Newstead, and several more on the periphery, as well as several small castles like the little-known Tickhill, all of which would have had visitors arriving from various directions. The palatial 17thc mansion called Amesbury Abbey (now a private nursing home) stands in beautiful landscaped gardens near the curve of the Avon and on the edge of the Stonehenge World Heritage Landscape. The original monastic building from which it takes its name, the Fontrevraudine Priory of Amesbury, is long gone, a victim of Henry VIII’s Reformation—not one stone remains visible above ground (although rumours abound that a piece of external wall along the perimeter of the property might be medieval.) However, painted tiles dating between the 12th and 15th C often turn up when the gardeners do the rose-beds, along with fragments of glass and other relevant debris. This has recently led experts to pinpoint the probable position of the vanished priory church, standing slightly north of the present house. The priory was originally built as a daughter house of Fontrevaud, after the town’s first abbey, founded in Saxon times by Queen Elfrida, was dissolved in 1177. The old Benedictine nuns were sent upon their way (most of them having supposedly lived scandalous lives!) and 21-24 nuns from Fontevraud in France were moved in, along with some English sisters from Worcestershire. The early Plantagenets, who had a great affinity with Fontevraud, the final resting place of Henry II, Eleanor of Aquitaine, and Richard I, greatly favoured the Amesbury daughter-house. Eleanor of Aquitaine’s foster daughter, Amiria, decided to take the veil there, and when Eleanor herself died in 1203, the prioress paid a rent from the Exchequer to the Abbess of Fontevrault to have a chaplain pray for Eleanor’s soul. It was not all about religion. King John had rather secular dealings with the priory in 1215 when the barons were in revolt. He hid part of the royal treasury in the vaults for safekeeping. In the reign of John’s son, Henry III, the priory seemed to come to renewed prominence. 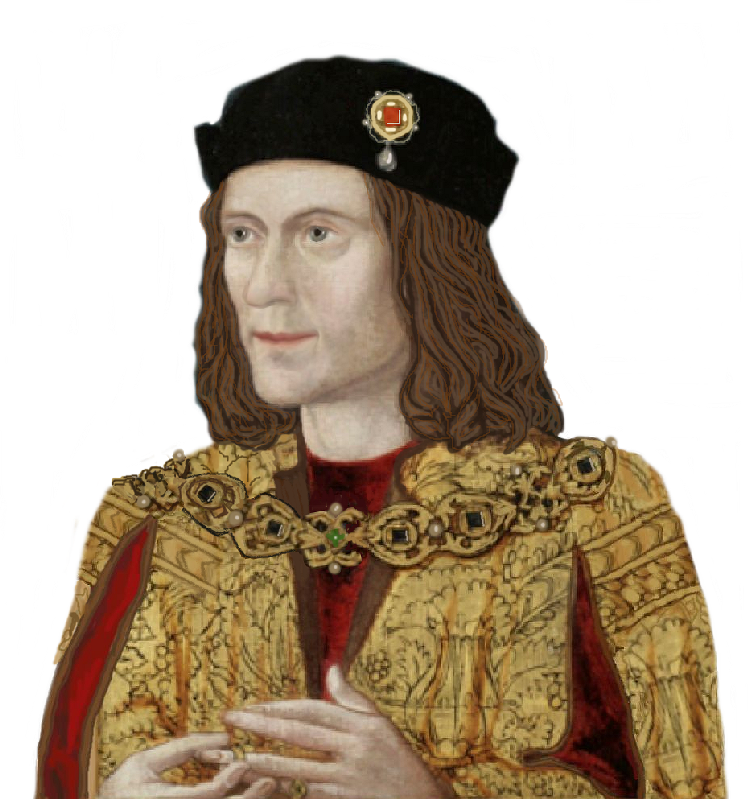 The king visited personally on several occasions and granted the priory nuts, firewood, wine, and a communion cup.Henry’s son, Edward I kept a close connection to the priory and sent his daughter, Mary of Woodstock, to join the order as a young girl. Mary seemed to enjoy travelling and playing cards more than she enjoyed being a nun, however; she ran up huge gambling debts to the tune of £200 while attending her father’s court. The 7th Earl of Surrey, John de Warenne, also claimed to have had an affair with her. Her burial place is not known but it is very likely in Amesbury. Mary’s cousin, Eleanor of Brittany also became a nun at Amesbury, but eventually she migrated overseas to the Abbey of Fontrevrault itself, where she rose in the ranks to become the abbess. There were a few conflicts with her cousin over the years, possibly because she disapproved of Mary’s less than nunly behaviour. Eleanor the Abbess of Fontevrault is not to be confused with an earlier Eleanor of Brittany, who willed her body to Amesbury after dying in a convent in Bristol. That Eleanor was the sister of Arthur of Brittany, most likely murdered by King John, and she was a prisoner for most of her adult life due to her closeness to the crown. Her remains might be in the older abbey (now the parish church of St Mary and St Melor) rather than in the lost priory, as it was because of St Melor, whose life story mirrored that of her unfortunate brother, that she wished to be interred at Amesbury. The most famous resident of Amesbury Priory was Henry III’s widow, Queen Eleanor of Provence, who was Mary and Eleanor’s grandmother. She may never have become a fully professed nun and had her own private quarters built for her use. Eleanor was a strong woman, beautiful but not popular with her English subjects, and had at one time been appointed regent of England in her husband’s absence. Originally, Eleanor had intended to be buried next to Henry III in Westminster Abbey, when the time came. However, a problem arose. The space had been usurped by the body of Eleanor of Castile, wife to her son Edward I, who had predeceased her; so, when Eleanor died in 1291, the nuns were not quite certain what to do with the body. They waited several months for the king to arrive and decide where she would be buried. When he finally reached Amesbury, he allowed his mother to be interred before the high altar in the priory church, with all due ceremony and many lords attending. The last great lady of royal blood to reside in Amesbury priory was Isabel of Lancaster, daughter of Henry 3rd Earl of Lancaster. She arrived there in 1327 and ended up as prioress. She was the granddaughter of Edmund Crouchback, hence great granddaughter of Henry III and Eleanor of Provence, showing that family connections were still strong. The priory does not feature overmuch in records after the late 1300’s, although some of the floor tiles are 15th c. It is possible it fell on hard times during this period. After the death of her husband, Margaret, Lady Hungerford, resided at the priory between 1459 and 1463. While she was there her lodgings burnt down, destroying £1000 of her personal possessions. The nuns asked that she restore the damaged buildings; the cost to her was £20. In 1463 she Margaret left the convent when her son, Robert, 3rd Baron Hungerford, was executed at Newcastle after the Battle of Hexham. The Hungerford lands were seized by Edward IV, and divided between Richard of Gloucester and Lord Wenlock. The priory was, naturally, dissolved in the Reformation. In 1540, it was given to Edward Seymour. A year later, the spire of the church was pulled down and the buildings roofs were torn off to take the lead. Wind and weather soon took their toll and then later building and landscaping obliterated all that was left of this once-great religious house…which was not only a holy place, but the final resting place of a Queen.